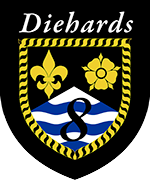 From it's early beginnings in October 1921 to the present day the name The Diehards synonymous with the 8th St Marylebone has earned a reputation of a well run Group offering quality Scouting to all ages. Traditions do not die hard, neither do it's members, and a lot is owed to the members of the Old Scout Branch who gave their time and effort to redevelop this precious building The Mansergh into the fantastic Headquarters we see today. Over the many years in the Groups history do we see fun and adventure, comradeship, competitiveness, and the most favourite word from our founder LJK - stickability . Friendships formed here last a lifetime. The values which our young people learn today are equally as important as those taught in the past, they learn to be self sufficient, honourable, trustworthy, good team players and good leaders all under the framework of enjoying the indoor and outdoor life. Joining our Group will give you an opportunity to experience modern day Scouting in the heart of London combined with pride from our ancestry. 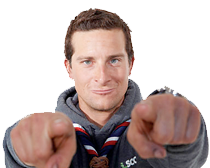 We are amongst the few Scout groups in London to own their HQ. Seldom will you see a scout hut like ours! Enjoy today - it's a gift -. that's why we call it 'the Present'!